Insurance companies are striving to turn their focus from policies and products to customers. However, to an insurer the customer can come in many disguises – the insured, the policyholder, and the agent or broker. Add the Internet and other direct distribution channels, and insurers are finding it harder and harder to determine who and what is profitable. 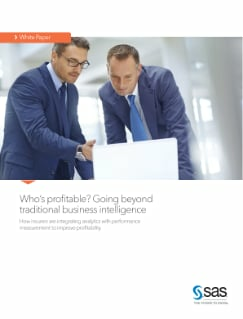 This white paper discusses how integrating analytics into performance management can enable organizations to measure the profitability of their customers, agencies and multiple distribution channels.